What Enemies Do Raccoons Have? 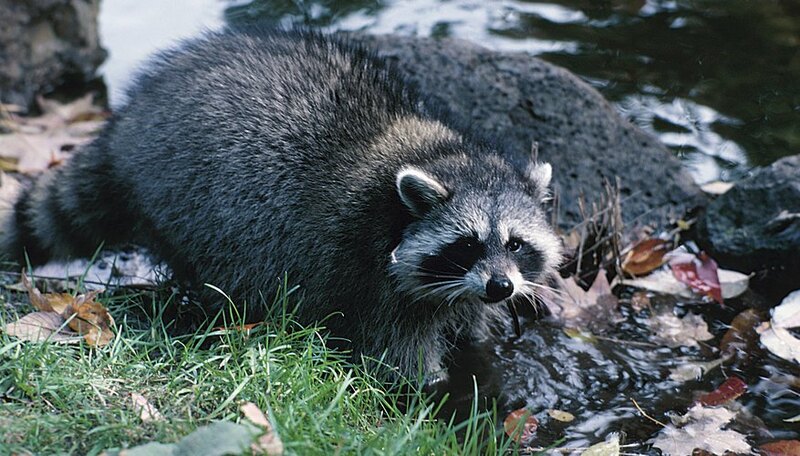 Raccoons live in a wide range of habitats, and they are most recognizable for their black masks. They are predators and scavengers, and their grizzled gray, black or brown fur allows them to blend in with their environments. They are active primarily at night, and they have to deal with a wide variety of enemies. While coyotes are largely eaters of carrion, they are also skilled predators. They will often eat raccoons, both adults and juveniles. Coyotes do hunt in packs, but one coyote is capable of killing a lone raccoon. The raccoon's natural aversion to coyotes makes it possible to use coyote urine as a raccoon repellent. According to the Michigan Natural History website, great horned owls are large birds that are between 18 and 25 inches long and feature wingspans between 48 and 60 inches. Though their prey typically consists of small rats and mice, they will eat larger animals, including raccoons, opossums and skunks. While they will usually content themselves with juvenile raccoons, they have been known to kill and eat adults. Though foxes share the same ecological niche as raccoons—both are predators and scavengers—foxes will also devour small, young raccoons if given the chance. Foxes are high-level predators that hunt a wide variety of animals, including raccoons, rabbits and snakes. Fox urine can even be used as raccoon repellent. Wolves are carnivores, and though they do a fair amount of scavenging, they are also excellent hunters. Wolves will hunt in packs to bring down a large prey animal, but a lone wolf can easily dispatch a raccoon. Not only do wolves prey upon raccoons, they will also devour shrews, hares, beavers, voles and fish. Bobcats, mountain lions and pumas will all hunt raccoons if they are given the chance. These large predators help keep the raccoon population in check, and they can eat both juvenile raccoons and adult raccoons. People will hunt raccoons for their pelts and also because they are considered pests. Raccoons will prey on chickens and they can carry rabies, which can be deadly to dogs and humans. People will use dogs to tree raccoons, and they will also shoot raccoons, trap them or poison them. While some people hunt raccoons for necessity, other people will hunt them for sport, in competitions. Ma, Lanh. "What Enemies Do Raccoons Have?" Sciencing, https://sciencing.com/enemies-do-raccoons-have-6759578.html. 14 March 2018.